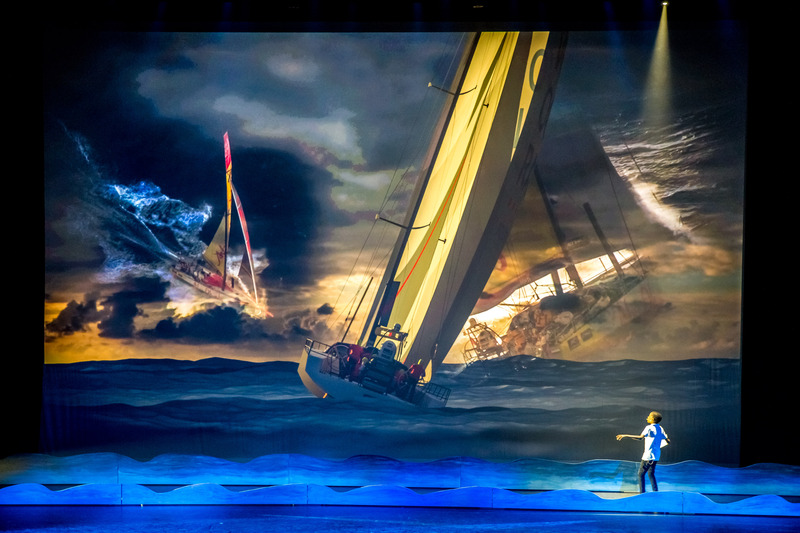 A dream… A sensation… A once in a lifetime experience for fans, enthusiasts and sportsmen alike. 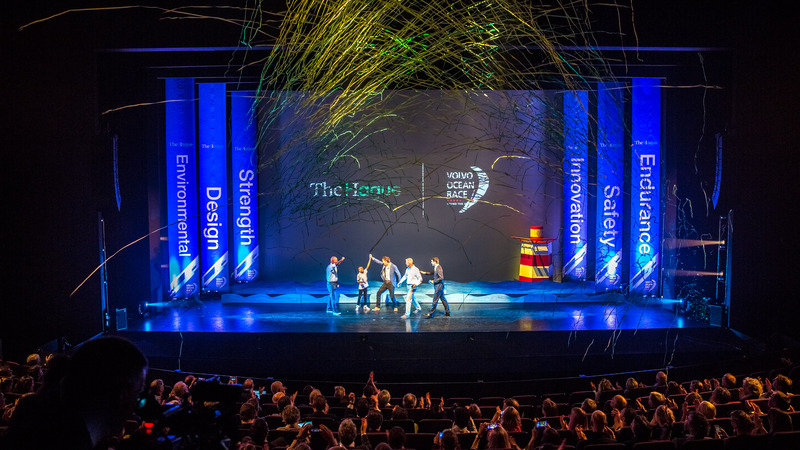 8 months of pure adrenaline colliding with blossoming emotions. 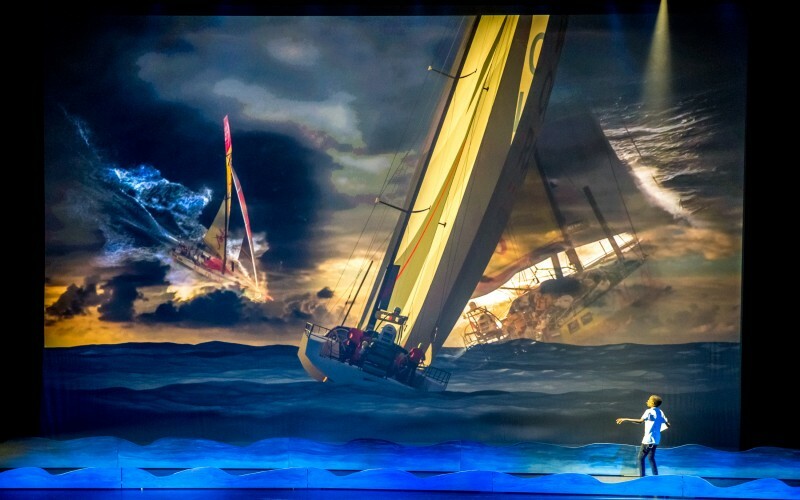 Strength, innovation, advanced design, safety and endurance. 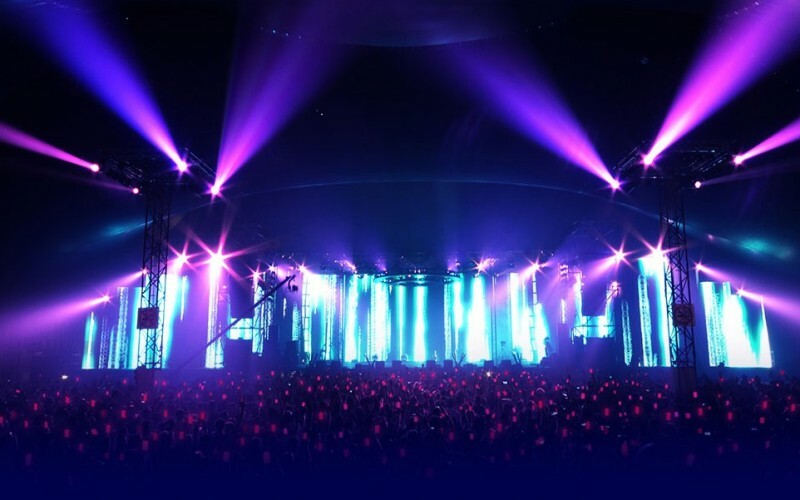 These are the keys to success. 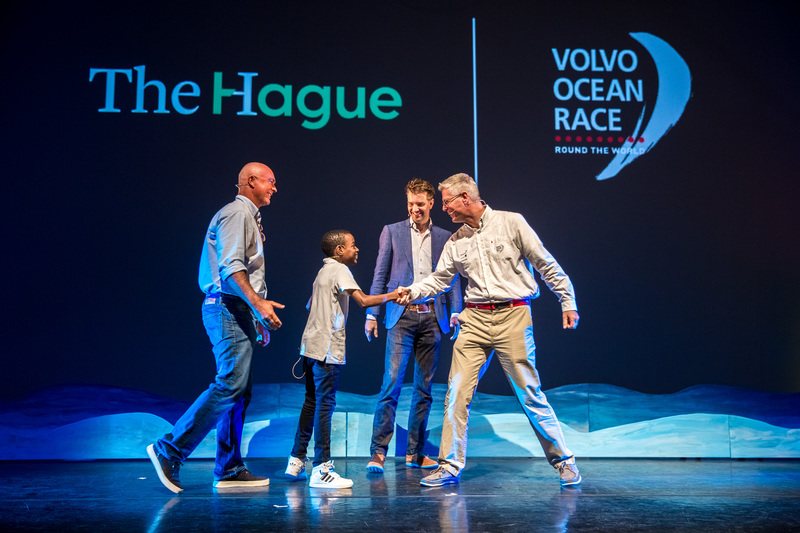 Today we’re announcing that The Hague will be the final destination for the sailors and their teams! 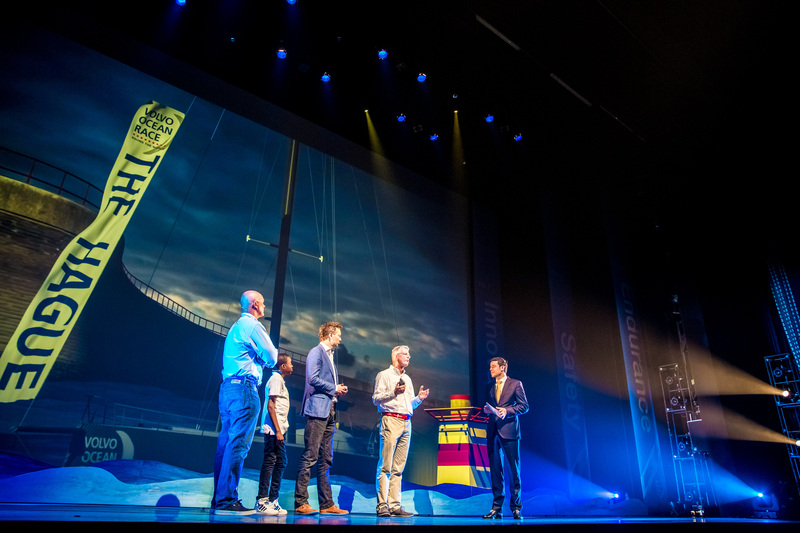 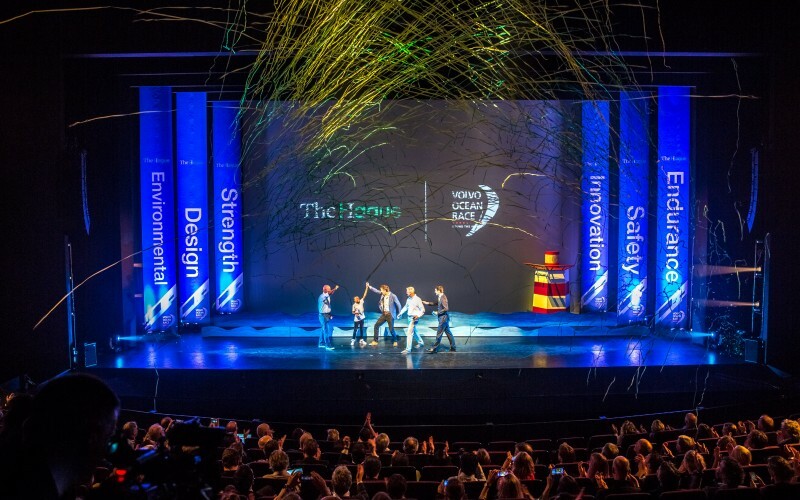 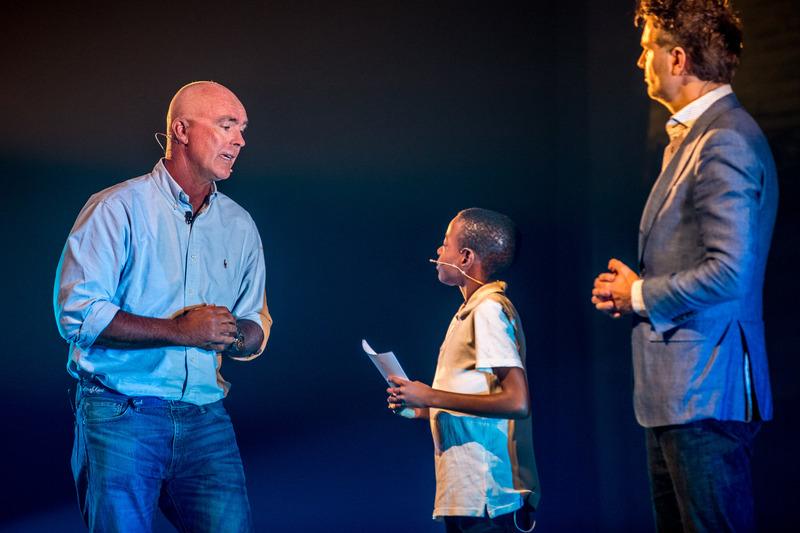 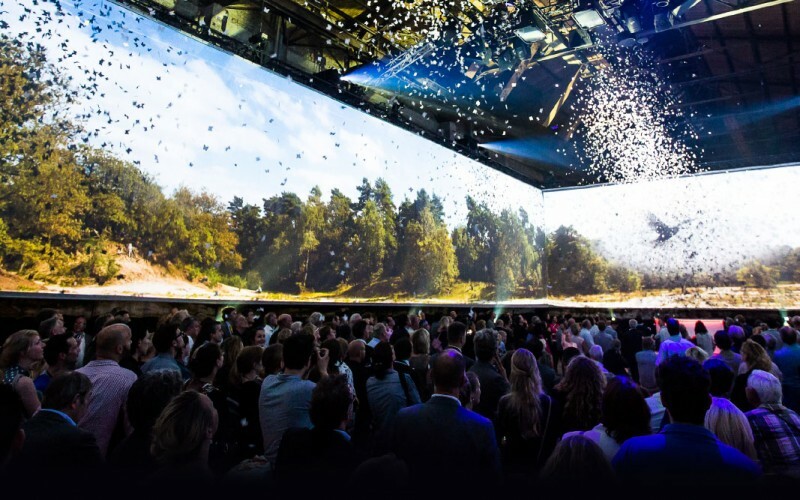 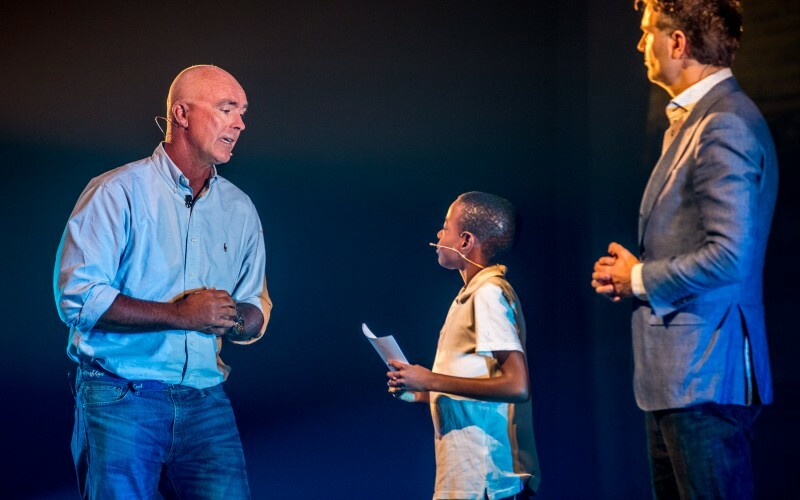 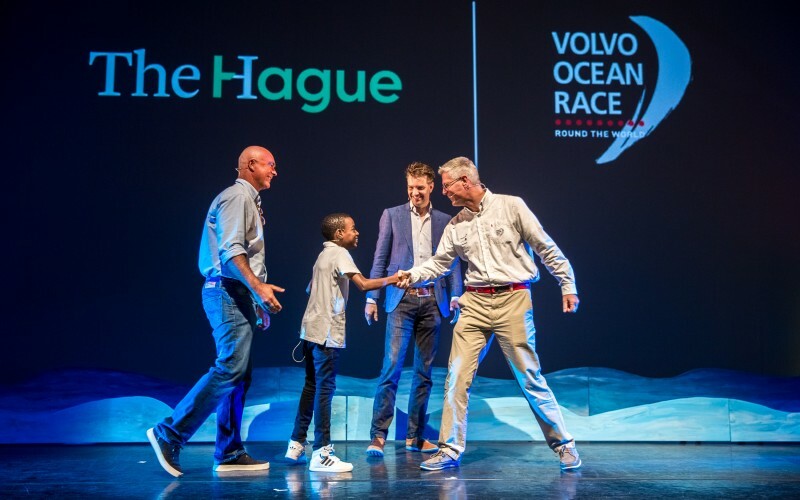 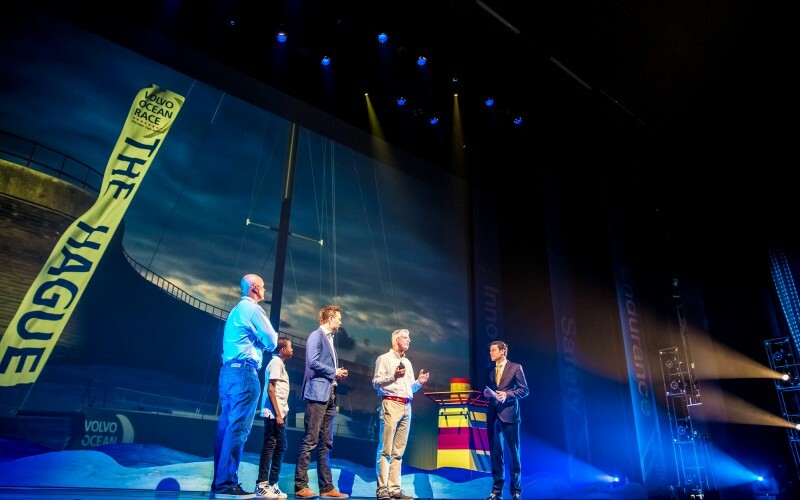 Create and execute a live show for the official announcement that the Volvo Ocean Race 2018 finish line will be in The Hague. 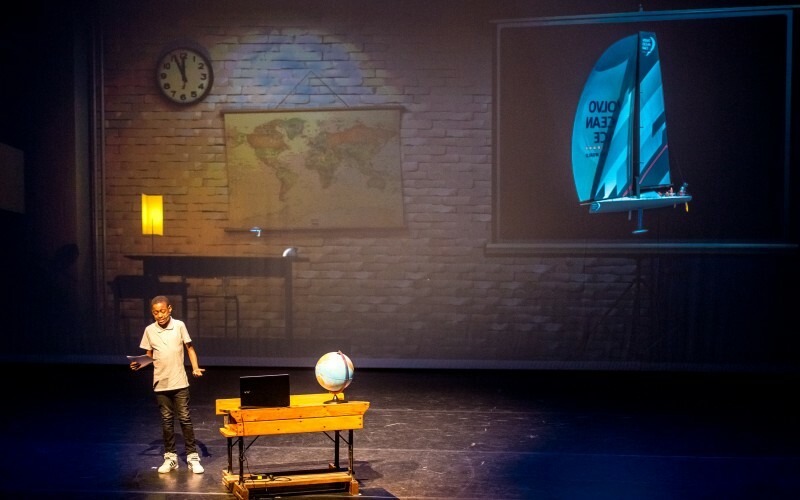 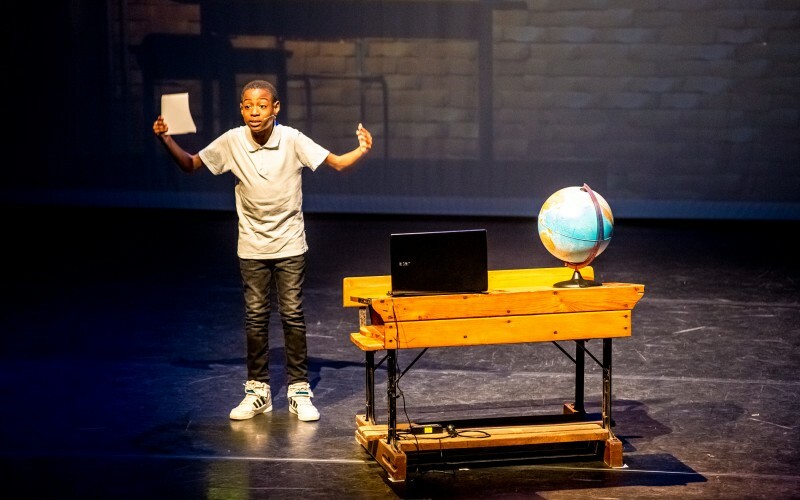 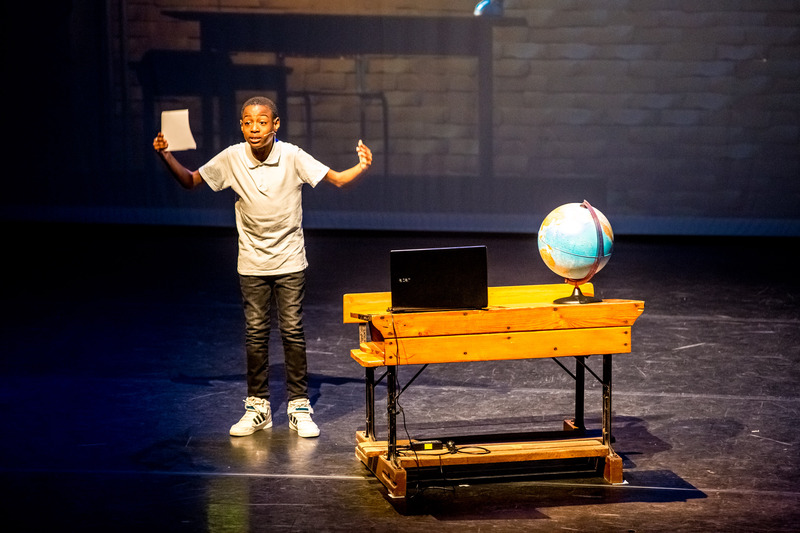 Live Show, Zuiderstrandtheater, Spring 2016, 150 Visitors, Press Conference, Concept Creation, Show Creation, Storytelling, Music Composition & Audio design, Copywriting, Storytelling, Actors, Props design, Show Directing, Character Directing, Stage-management, Special FX and more!